WESTBURY, NY--(Marketwired - December 07, 2016) - As part of an initiative to encourage the next generation of engineers, Spectronics Corporation actively engages the college community on Long Island. Competitive companies like Spectronics recognize the potential of millennials to reinvigorate businesses in our region with tech savvy skills, ambition and education. On November 16th, 27 engineering students from Hofstra University, led by Dr. Mauro Caputi, an Associate Professor of Engineering and the Director of Freshman Engineering at Hofstra, toured Spectronics' corporate headquarters and manufacturing facility in Westbury, New York. 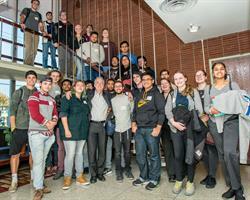 The students came from the Mechanical, Civil, Industrial, Electrical, Computer and Biomedical Engineering disciplines. 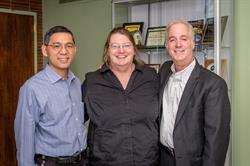 They met with various members of Spectronics' engineering team. The company's President Jon Cooper led the tour, introducing the college students to the various departments, equipment and manufacturing processes throughout the facility. Jon Cooper believes one of the ways to excite and nourish the next generation of engineering talent is to immerse students in a hands-on experience -- to display the real-life application of what is being studied in the classroom. Seeing engineers at work on Long Island shows students the culmination of all those years of study and what is capable of being achieved. One point that Jon Cooper emphasized was the level of operational excellence that is required to remain competitive in today's manufacturing industry. "Our competitors overseas often have the advantage of low-cost labor. In order for Spectronics to be competitive, we need to emphasize the quality of our products," Cooper said. "Our company invests a lot of time and energy in meeting -- and many times exceeding -- international standards and certifications. We invest in both our workforce and our facility so we can continue to lead in the development of new and ground-breaking technologies. Exciting innovation is happening here on Long Island, and our young engineering students can be a part of that." 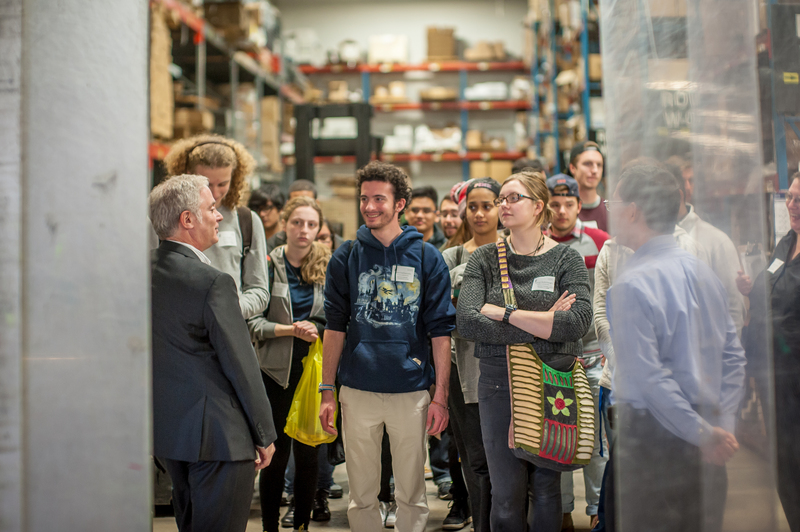 The visiting students observed the manufacturing processes at every level of the organization and were introduced to everything from product cycle design and prototype development to the various production stages on the manufacturing floor. 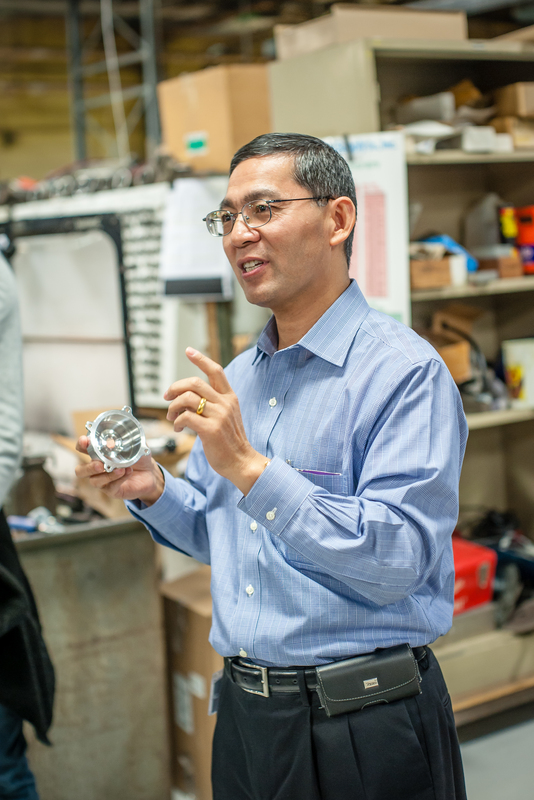 Spectronics' Vice President of Engineering and Manufacturing, Limin Chen, discussed what it takes to develop a product from start to finish. Spectronics has both ISO 9001:2008 quality management certification and AS9100C aerospace certification. This means Spectronics takes great care in the creation and delivery of products as a whole, ensuring that consistency is maintained through rigorous quality control checks, data gathering, and continuous improvement of their manufacturing processes. 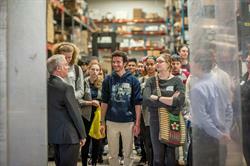 In all, the students were provided a glimpse into the inner workings of one of Long Island's premier manufacturing firms. The experience instilled a sense of what they can expect after graduation, within the job market, and what is happening in the greater engineering world. Dr. Caputi thanked Jon Cooper and the Spectronics team for introducing the visiting students to the many facets of a trailblazing, global company located in Hofstra's own backyard. Spectronics Corporation is the world's leading manufacturer of ultraviolet equipment and fluorescent materials. Their state-of-the-art products are built to exacting engineering standards and are utilized for literally hundreds of markets and applications that demand uncompromising quality and reliability. Spectroline® UV lamps and radiometers are widely used to verify the structural integrity of military and commercial aircraft. Spectroline® fluorescent dyes are used to check for fluid leaks in power plants, nuclear reactors, oil pipelines and industrial facilities worldwide, and were even used on the U.S. Space Shuttle. For more information, please visit us at Spectroline.com.